Is it possible that a wise tortoise in Niger knows the secret to beating climate change? The answer can be found in Animal Village, an award-winning book by noted children’s book author/illustrator Nelda LaTeef. 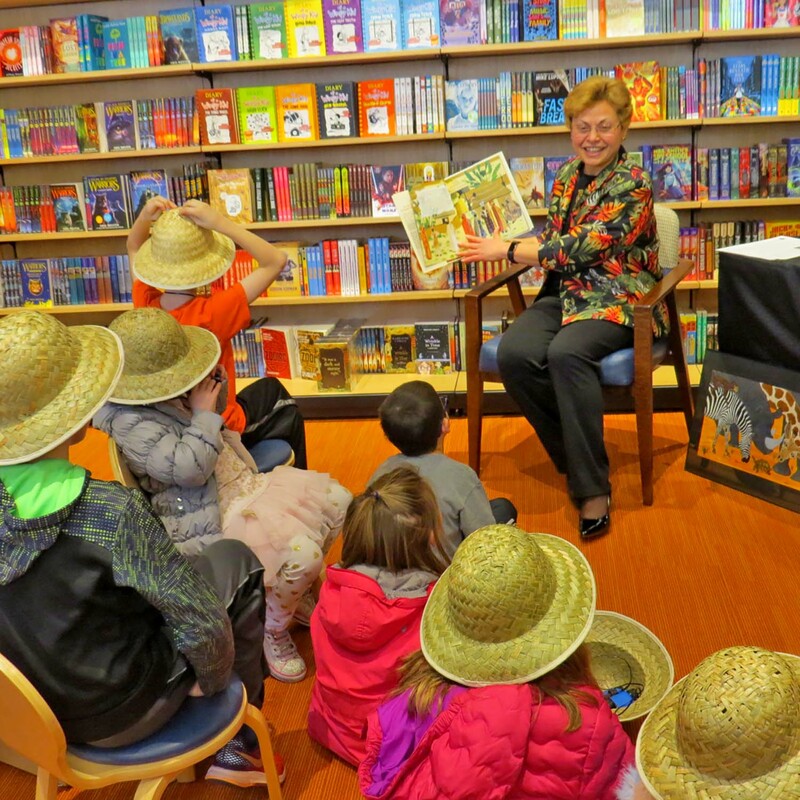 She was the featured author at INMED’s Book Fair at Barnes & Noble at One Loudoun on Saturday. In addition to reading and signing copies of her book, Ms. LaTeef helped distribute binoculars and safari hats to some lucky children who came to the event. Ten percent of all in-store and online Barnes & Noble purchases were donated to INMED’s Family & Youth Opportunity Center, where our team is working with volunteers and community partners to create opportunities for at-risk children and low-income families to overcome poverty.